● Centralized - Assets are stored with an organization which publishes proof of reserves. ERC20 token backed by Bitcoin (BTC) and will be appropriately named, "Wrapped BTC"
reserves posted on the BTC chain. exchange protocols, and lightning/raiden style channels. The ERC20 standard has been adopted by a large number of institutions and products. handling their tokenized asset. They also have the ability to move tokens quickly, 24/7. The majority of ERC20 trading in centralized exchanges today is done with BTC and not ETH. creation of smart contracts to Bitcoin. to pay capital gains tax calculated at the time of purchase in the US). cryptocurrency nodes and instead could just develop on Ethereum. for example require whitelisting, holding periods, and identity management. be played by BitGo  . 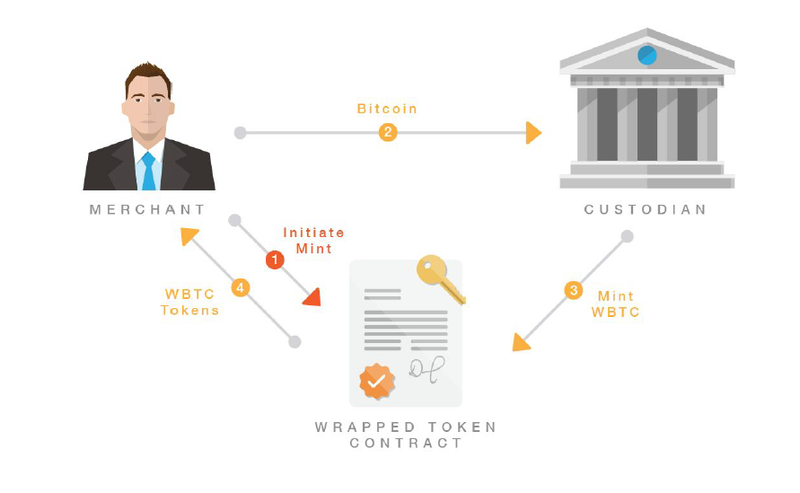 Custodians hold the keys to mint tokens. holds a key to initiate minting of new wrapped tokens and burning of wrapped tokens. and transact like any other ERC20 token in the Ethereum ecosystem. multi-sig contract will be held by institutions as part of the WBTC DAO. between the merchant and the custodian. merchant’s address on the Ethereum chain. 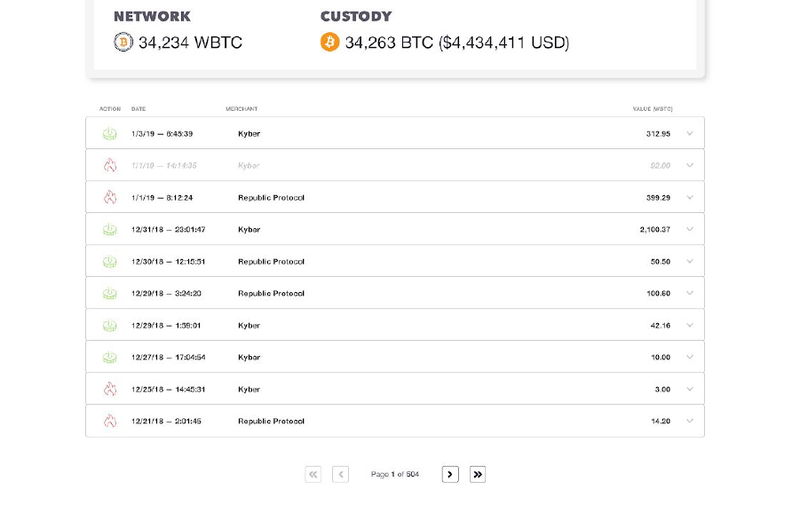 ● The merchant sends the custodian X BTC. from the merchant’s WBTC balance (on chain) and the supply of WBTC is reduced. there will be no restrictions on transfers. mind security as well as the ease of adding/removing members. practical scalable solution to increase transactional throughput. who will be geographically distributed and represent several different domiciles / governments. sidechain are still to be determined. exchange could also be done through the merchants. time. 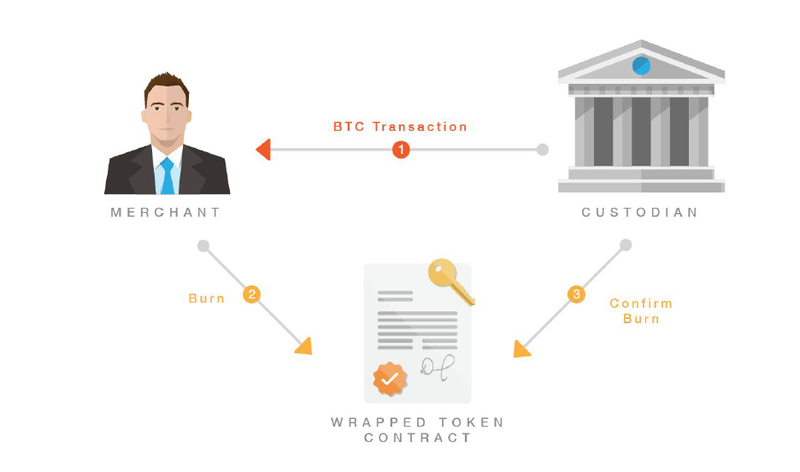 The merchant then transfers X WBTC to the atomic swap contract. WBTC to the user. This involves trust in the merchant, but it is quicker and cheaper. exchange after having already obtained WBTC. atomic swap fee as well. This is inconvenient each time users want to swap currencies. sidechain. This is shared equally among all institutions running nodes on the sidechain. institutions. 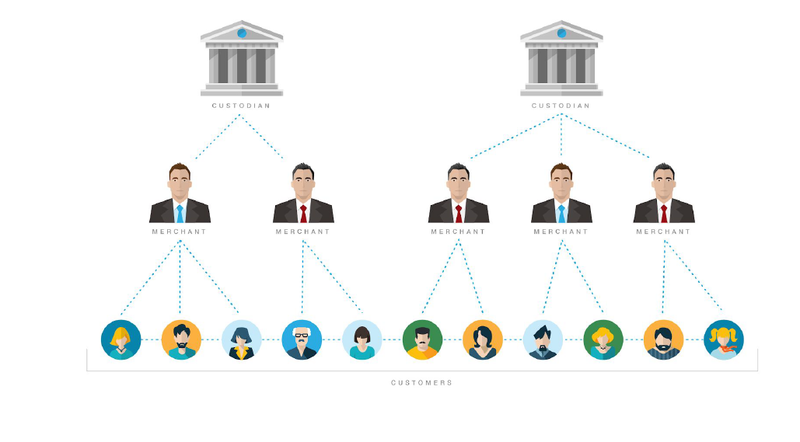 Merchants are required to hold the identity information of the user securely. will still be backed up by custodians, but instead could lead to a loss of KYC/AML user data. which bitcoin is stored in. the custodian and the merchant. merchants together would need to be.